The cleaners are so impressive with their speed and work ethic. Shall be calling Ilford Rug Cleaning Services again. Without our experts at Ilford Carpet Cleaners, you’re leaving yourself open to all sorts of disaster that our Ilford carpet cleaners could help you to avoid. If you don’t fight against the mounting of dirt on your carpeted floors and rugs, you’ll be left picking up the bill for the damage it’s caused. Instead, we make cleaning carpets a simple procedure. We know that wherever you live in Ilford, you’re sure to benefit from our options (which include fantastic steam cleaning). Don’t spend another moment fretting over whether you can afford us either, as our budget prices are within the range of anyone! Talk to an expert on 020 3744 3847 now! Our carpet and rug cleaning teams are made up exclusively of professional carpet cleaners Ilford with years of experience. They know the tools, materials and methods appropriate for their work better than anyone else in the game throughout IG1. From household needs to office carpet cleaning Ilford, we do it all at the highest level and with great pride in our results. We never cause any damage to your property during our work, and we have absolute respect for the fine local customers who bring us in. Knowing that you deserve respect, you can trust us with even the most precious of your rugs when we’re coming in for a rug cleaning. Although we never make mistakes, we always have a money back guarantee in place! If you live in the IG2 district and are looking for someone to help you consolidate your home carpet cleaning concerns, wouldn’t it be a huge plus if you could find a company who truly cared for the environment? 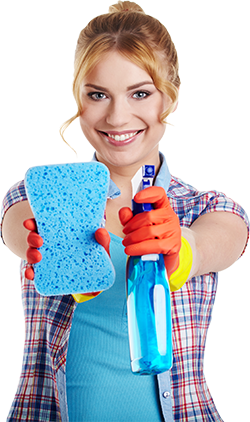 That cleaning company is us, and we believe it’s incredibly important to have such a focus within our work. You get the knowledge that everything will be disposed of, through green means when you use our carpet cleaners. Not only that, but every material we use and all the work we conduct is followed through with absolutely no harm to our eco-system. Our Ilford rug cleaners take every possible precaution. To find out more about their work, call 020 3744 3847 today! One of the things we do best for IG1 home and business owners is steam cleaning, which we have perfected across our lengthy service to the region. This option is sure to have your carpets back to their best in no time. However, we also offer dry carpet cleaning as an alternative. We always offer our thoughts on what would be most cost-effective to you, so don’t be afraid to ask the opinion of our carpet cleaners Ilford! Clearly, no matter what you seek in sanitising your carpets and rugs, our Ilford carpet cleaning company can provide it in spades and will be handled by specialists with a deep knowledge. That’s security simply not sold in stores! Home and business owners in Ilford would do very well to nip these concerns in the bud before they ever have a chance to harm you or your IG2 home. Cleaning carpets is second nature to our employees, so let them take the weight off your shoulders for incredible prices. You may not have thought you could afford external carpet cleaners, but you’ll soon realise that we’re well within your grasp! Then you can enjoy the top-notch work that many of your fellow locals are currently pleased with at this very moment. With Ilford Carpet Cleaners, home carpet cleaning becomes available to everybody. Don’t hesitate in picking up your phone and calling up 020 3744 3847 for hiring the best Ilford carpet cleaners! Description: When your carpet needs cleaning we are always close to you offering a good selection of carpet cleaning services in Ilford, IG1. Contact us on 020 3744 3847. Copyright © 2015 Ilford Carpet Cleaners Ltd. All Rights Reserved.